What is it about concrete that suggests both a natural organic form and an industrial minimalism? 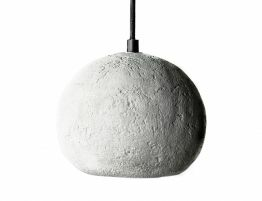 The Sphere Earth pendant light offers on-trend lighting for your modern design. 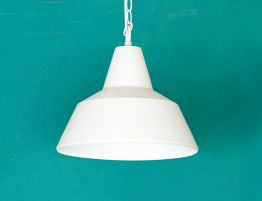 This unusual hanging light offers a unique look for your space whether you lean toward a more eco inspired interiors, a minimalist modern vibe or a refined modern retreat. Put the Sphere Earth designer light above a dining table, over a favourite reading chair or wherever you need a chic glow. 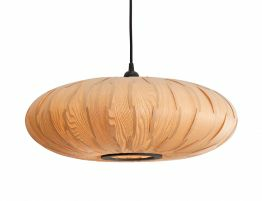 Bent Design Studio has brought us a modern lighting collection that offers an ideal accompaniment to our modern furnishings. Don’t neglect great lighting in your overall design plan. 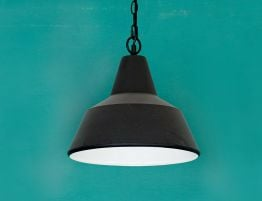 With pendant lighting, room lighting, designer lighting and more, you can get a pulled together, modern look that you love to come home to. 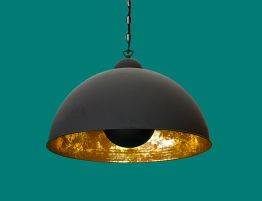 View the complete range of concrete lighting, concrete light fixtures and a mix of other materials to create eye catching and unique lighting.